Singapore is so much more than a stopover destination. For our family, it’s the perfect holiday destination. Not only is it halfway between Australia and Europe – which means both sides of our family are travelling equal distances – but it has something for everyone. My teenage nieces particularly love the shopping and access to a range of brands they don’t get in Switzerland. And with Indian family heritage, we always take the opportunity to spend an afternoon exploring Little India. Sentosa Island is the activity centre of Singapore, here my younger niece can indulge her love of roller coasters at Universal Studios. As a foodie family, we love the hawker markets and take every opportunity to try a different version of chilli crab. What’s great is that unlike many Southeast Asian destinations, we never worry about food safety because Singapore is so clean. Getting around Singapore on the MRT (train) is easy and taxis are very reasonably priced, which, when we need to accommodate younger children and babies, makes a huge difference. I’ve visited Singapore almost every year for ten years and there are still experiences that I haven’t tried yet. In 2019, I’m keen to tick off the Night Safari and try some of the new boutique hotels that have been popping up across the city. 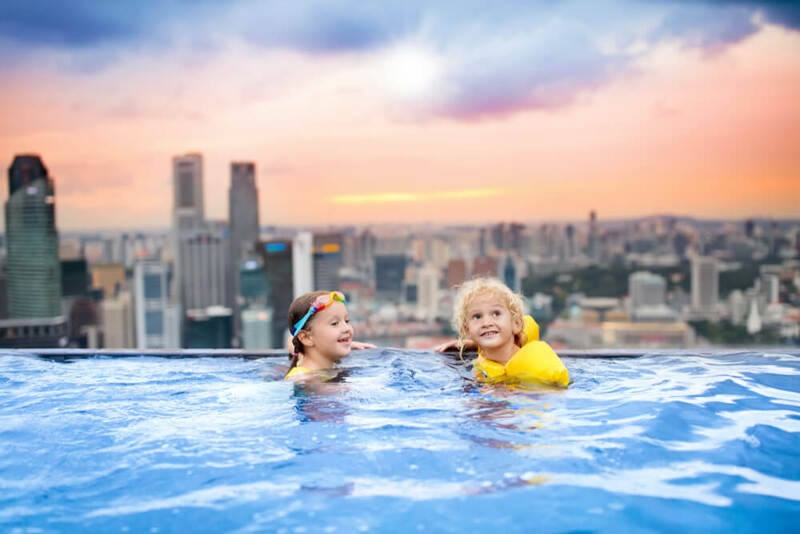 Read our full guide to what to do with kids in Singapore here. Singapore family hotels can be tricky to find. Family Travel has a full list of Singapore hotels that fit families in one room here. Janeece Keller is Founder & CEO of Bound Round which runs Family Travel, Travel with Special Needs & MyDiscoveries. Each time I visit Indonesia, I have a totally different experience than the time before. Whether I’m backpacking solo, travelling for work or holidaying with family, three things are guaranteed: great food, warm weather, and spirited, welcoming locals. My most recent visit took me to the city of Jakarta, and it proved once again that there is always something new to discover in Indonesia. When it comes to entertainment, kids are truly spoilt in Jakarta. Ancol Dreamland is a huge seaside recreation park near the main harbour. You could easily spend a few days at Dunia Fantasi theme park, Sea World and Atlantis Water Adventure. There’s also a great cable park for older kids. On the other side of the city, Jakarta’s miniature park lets you explore all of Indonesia in one day. Each pavilion showcases the traditional culture, clothing and architecture of the country’s 34 provinces. There’s also a theme park, bird sanctuary and gondola that soars over a huge manmade lake, with small islands that replicate the Indonesian archipelago. Indonesian cuisine is great for kids. The spicy stuff (sambal) comes on the side, so adventurous foodies can add as much or as little as they like. Some of my favourite dishes are gado gado (fresh veggies, tofu and peanut sauce), nasi goreng and es cendol (Indonesia’s twist on the humble snow cone). Like other South East Asian countries, the tastiest traditional food can be found in the street markets. The sizzle of satay skewers and flaming woks is enough to set the senses on fire, but do exercise caution – nothing spoils a holiday like a piece of undercooked chicken. 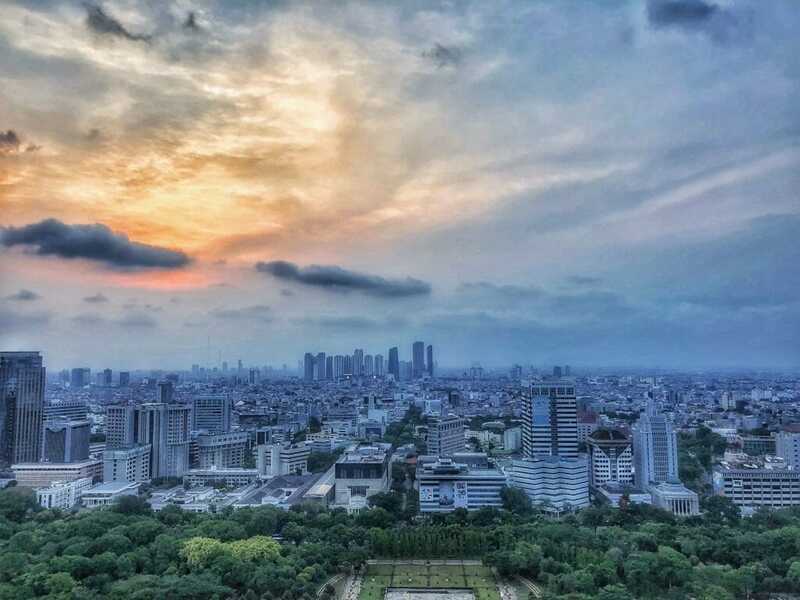 I’d heard Jakarta was a big city, but a trip to the top of the National Monument put things in perspective for me. The skyscrapers continue well past the distant haze that swallows them up. From up here, it’s easy to imagine a population of 10 million comfortably spread out over the city. That is, until you get back to ground level and attempt to drive across the city during peak hour. Traffic is a part of life in Jakarta and it will teach the kids a great lesson in patience. You can avoid some of the congestion by choosing a hotel close to the attractions you want to see, planning your visit over a weekend, or even jumping on the Transjakarta bus, which has its own dedicated lanes. Traffic aside, Jakarta is a great place for intrepid families who want to unlock the lesser-known parts of Indonesia. Most people see it as a stopover, but it’s worth spending a couple of nights here to experience the beating heart of Betawi culture. Bethany Plint is a Journalist & Social Media Specialist at Bound Round and author of food & travel blog, The Intrepid Vegan. The US is a destination that ticks all the boxes for our family. Not only does it cater to the varying ages and interests, but the Americans with Disabilities Act ensures a level of access and understanding we rarely find elsewhere. As a result, we keep returning. Our kids will tell you Disneyland is indeed the happiest place on Earth. Character interactions, accessible rides and tangible magic always have us in a state of child-like wonder. The Disability Access Service Card ensures our son, who has an inability to wait in long queues, has access to all the rides and enjoys every minute of his Disney experience. For my animal-loving daughter, San Diego Zoo is a must. Knowing the zoo’s hilly location may be a challenge, we choose to limit the wheeling by booking the Animals In Action Experience. Select animals were brought to us, and after the show, we were given the chance to feed a rhino and pat a zebra. The kids found hand-feeding a rhino equally intimidating and unforgettable. Guests with a disability receive free entry for their parent or support person, and the zoo’s tour bus has wheelchair access. Being a movie-loving tragic, I embrace any opportunity to get an insider’s glimpse into that world, particularly the Golden Age of Hollywood. Not only is Hearst Castle in San Simeon architecturally beautiful, but in the past, it was the location of grand parties. Guests included Winston Churchill, Charlie Chaplin, Joan Crawford and Errol Flynn, to name a few. Booked on an accessible tour, we had a private guide and specialised vehicle (able to accommodate a wheelchair) for our tour of the castle grounds. Intrepid Sea, Air & Space Museum is a wonderful inclusion in our New York itinerary. An accessible museum housed on a former aircraft carrier is a unique experience. The USS Intrepid fought in World War II and survived five kamikaze attacks and a torpedo strike. The ship has lifts between decks and gave our son his first look below deck on a military ship. The aircraft collection is one of the most varied on the east coast of the US and includes the Concorde. This is a small insight into the concessions, facilities and access offered by attractions in the US. The kids keep asking when we can go back – they’re not the only ones eager to do so. Julie Jones is a travel writer who specialises in accessible and inclusive travel. Read her blog, Have Wheelchair, Will Travel. Famous for its stunning harbour and expansive skyline, Hong Kong is a destination for the bucket list. I found so many unique, family-friendly things to see and do in the city where traditional culture blends with contemporary excellence. 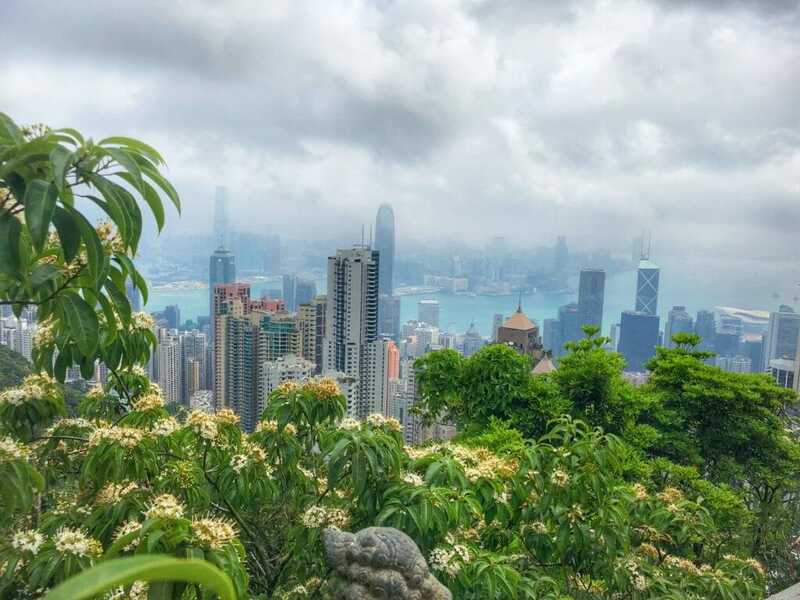 While I loved Hong Kong’s out-of-this-world shopping opportunities, when I wanted to escape the hustle and bustle, I was able to travel up into the New Territories, a wide-ranging area with peaceful century-old villages, ancient temples and untouched fields. With 14,000 restaurants at my doorstep, the city had some not-to-be-missed eating experiences – whether Chinese, Asian fusion or from further afield. Plus, with a world-famous skyline and harbour, the alfresco affair is taken to the next level. 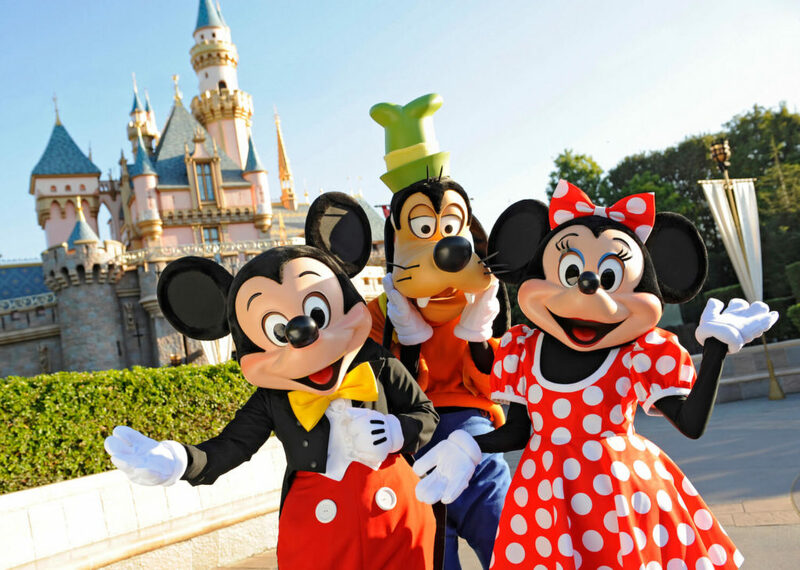 For a change of pace, I highly recommend taking the gang to Disneyland – a world where dreams become reality. This is a holiday destination you will want to explore with your family in style, and what better way to do that than by booking one of the best Hong Kong cruises with My Cruises? With flights, pre- or post-cruise accommodation in Hong Kong, transfers and more, the only thing you will need to worry about is ticking all those activities off your list. Natalie Gruzlewski is the Ambassador for My Cruises and My Holiday Centre and has a strong background in TV presenting. Find out more about Hong Kong here. Need to catch up on the first three instalments of 2019 Top Destinations to Visit?